NFPA Vol. 1977 - 2011 Ed. 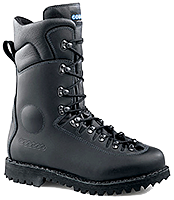 Use this form to order the Cosmas Hercules V2 wildland fire boots. Don't estimate or just order the same size as some other footwear... measure your feet to determine what size they are. Order boots the same size as your feet... not necessarily the same size as some other footwear you own. The main page for these boots has a thorough discussion of sizing and how these boots fit. Click here to go to that size discussion. above and list the sizes you need in the remarks box. For large orders you can email us at and we will assist you with the order.